Charles Dickens was twenty-five when The Pickwick Papers, his first novel, was published in 1836. Appearing just a few weeks after his first book, a pseudonymous collection of his journalism, Sketches by Boz, the novel, made his name. 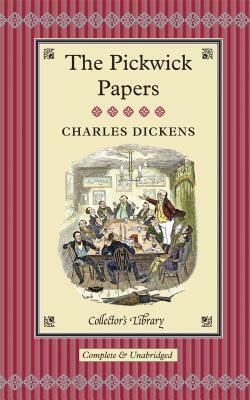 After a childhood blighted by the fecklessness of a father who later inspired the figure of Mr. Micawber in David Copperfield, Dickens went on to become the giant of nineteenth-century literature, the father of ten children in an unhappy marriage, and the lens through which millions of readers have viewed, and continue to view, the most convulsive and formative years in British social history-the Victorian era.